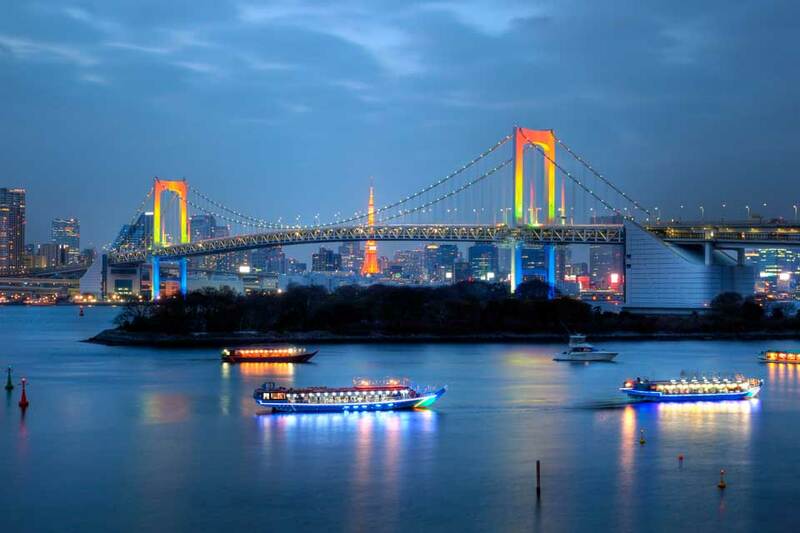 Tokyo is the capital of Japan and the largest metropolitan area in the world. Tokyo is one of the three command centers for the world economy along with London and New York. It is the most expensive city, but with very high living standards. A trip here is a completely different experience for anything you have seen so far. The climax of modern architecture blends harmoniously with the traditional Japanese buildings creating a simply unique atmosphere. Tokyo can satisfy everybody. Here you can find amazing shopping areas, wonderful historical landmarks garden and museums It's truly a modern paradise on earth. Tokyo is a very crowded place and always in a constant motion. Exploring it needs good planning and endurance. Start from the beginning and find the best way to move in and out of the city. The answer can be found simply in one web-address www.vanrental24.com. Van hire is here to open you the door for a new advanced and innovative traveling experience book your minivan and enjoy the absolute comfort and luxury. Minivan rentals allows you to personalize your sightseeing tours so let's start a little bit unorthodox from the magnificent Koishikawa Korakuen Garden. It is a beautiful Japanese garden and one of the few sights in Japan that is considered a special place of scenic beauty and historical value. It is totally traditional in a strolling or promenade style with a pond and two hills which represent Mount Lu in China. Next stop the Imperial palace of Tokyo. It is the home of the Emperor of Japan Tokyo palace is surrounded by a high wall and a moat. It is the most expansive in the world. 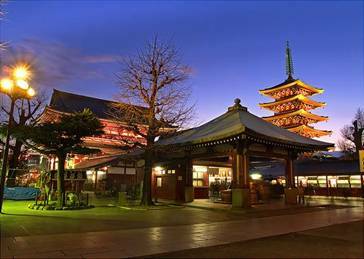 One of the most important temple is the Sensoji an ancient Buddhist temple located in Asakusa. Here one of the most famous festivals take place the matsuri it lasts for 3-4 days and it is organized in late spring. The Hazomon gate with the well- known red paper latern will definitely make your eyes stop there. Meiji Jingu Shrine is one of the most popular altars in Tokyo Meiji Jingu altar is in the middle of a large evergreen forest of 120,000 trees. Meiji Jingu Shrine was built to enshrine Emperor Meiji and his wife, Empress Shoken. Japan is famous for its cherry trees Shinjuku Gyoen National Garden is a beautiful spot where beauty spreads everywhere. Seeing a cherry tree bloom is something miraculous for those who love nature let your 12 seat minivan rentals lead you to a unique green and colorful oasis where nature truly celebrates with more than 1.500 cherry trees. If you want to see an amazing view and Tokyo from a higher level visit the Tokyo tower the “twin brother of Eiffel tower” only 9 meters taller. It is the highest self supporting iron tower. Here you can really enjoy a cup of coffee with the whole Tokyo unfolding in front of your eyes. Tokyo Natiolal Museum is definitely a must see. It is the most important Japanese museum with exhibits and artifacts even from the pre-historic period. For the fish lovers Tsukiji Market will become their favorite place it is the largest fish market handling more than 2.00 tones of fish daily. Its special atmosphere with the sellers the buyers and the trucks have convert it into a major tourist attraction. Tsukiji Market consists of an inner market where most of the wholesale business and the famous tuna auctions are taking place, and an outer market whose retail shops and restaurants carter to the public. Tokyo is synonymous with a really intense business activity. Giant enterprises have the headquarters here and the most powerful business globally visit this city one daily basis. One of the main characteristics of this city is that when it comes to business everything is running fast. Decisions are taken on the cutting -edge. The last thing anybody needs is delays. In a city where a businessman works even when he sleeps Van hire is the deus ex machina that puts everything in order, With Van rental travelling and working is something easy, frequent and natural .It is not just an inexpensive travelling tool but also a working tool. That is why minivan rentals has the most admirers in the world.